Eleven years ago, All Aces Promotional Staffing got its foot in the door with local East Coast projects in cities like New York and Boston, so we are proud that our client base and talent pool has now spread throughout the US and across the pond! We are thrilled and honored to receive international recognition by being among the winners of the Corporate Insider’s 2017 Business Excellence Awards. The Business Excellence Awards recognizes some of the world’s most prestigious companies, all of whom rank high in efficacy, innovation and recently documented client feedback. The winners are categorized according to industries, and we are pleased to be the Event Staffing & Management Firm of the Year winner, right up there with top companies around the world! Event staffing and experiential marketing is brand engagement in its most visible form. Event staff (brand ambassadors, samplers, conference aides) are the voices and faces of a brand or company. 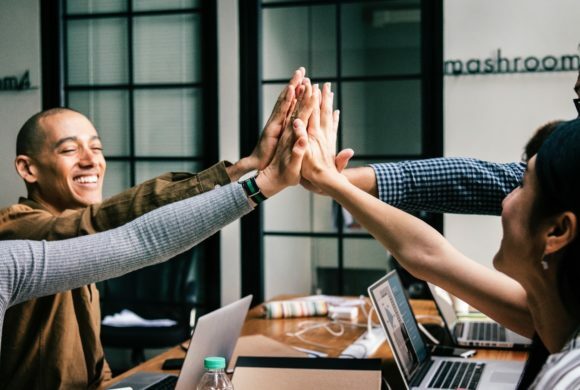 Whether they’re the first faces people see at the registration table for a conference or the ones educating consumers about your brand, they are the ones engaging with your target audience and creating brand or company experiences. It doesn’t get much more tangible, or local, than that. Yet, for All Aces Promotional Staffing to win Corporate Insider’s Event Staffing & Management Firm of the Year, we had to have a global buzz. Some of our clients are located and have activity on an international level, and many of them come from personal referrals. Since this can often be a business of “putting out fires,” clients want to use a management team that they know and trust that can handle all of their event staffing and logistics needs. Regardless of where our clients hail from, almost all of them have a need for event staffing in multiple locations, sometime simultaneously, especially if it’s a new product launch, mobile marketing tour, pop-up shop, or large-scale event. The goal is to have one effective, dynamic manager to ensure that the same hiring, training and management standards are met. 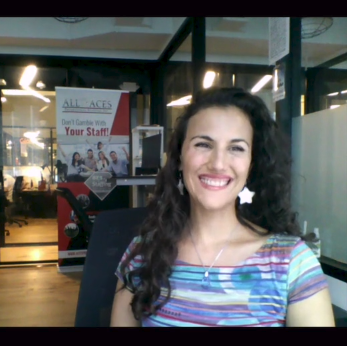 So what makes Aces Promotional Staffing an award-winning company? Lauren Raimondi, the President and CEO, has had over 16 years’ experience in this business and has truly worked in the event staffing industry at all angles; brand ambassador, team leader, project manager and senior adviser to a team of project managers who she’s trained in every facet of the business. Having easily overseen a thousand or more campaigns, she’s qualified to not just staff, but help marketing and event professionals manage and sometimes even strategize the same projects they’ve hired her to staff. All Aces Promotional Staffing can help a food brand navigate the nuances of a store sampling campaign, or a high tech company put together the logistics for brand visibility at a trade show. We can assess a situation and recommend necessary adjustments or changes to avoid pitfalls that our clients cannot anticipate, because they possibly haven’t been there before and we have. If someone is planning an event for their startup, they might be signed up for their first convention ever, yet we’ve done this many times. 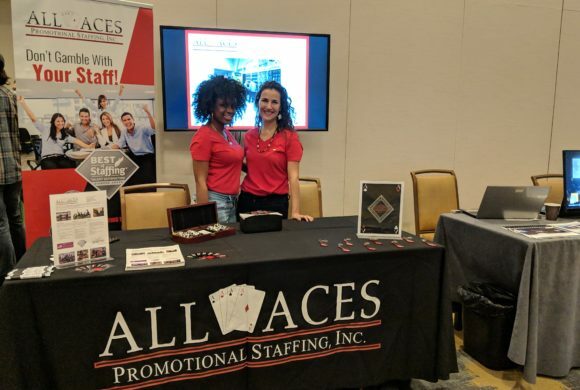 All Aces Promotional Staffing is a recognized consultant in the event staffing and experiential marketing industries, and we are proud (and humble!) to admit that we’ve earned that level of recognition.